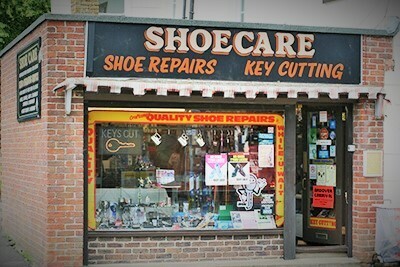 Shoe Care is an independent company with over 20 years experience in shoe repairs, key cutting and engraving. We hold a large selection of shoe care products in the shop. Providing a quality service at competitive prices. Please visit the services page to see what services we provide, if you have any questions regarding the store including opening times, quotations or general questions, please do not hesitate and contact us.